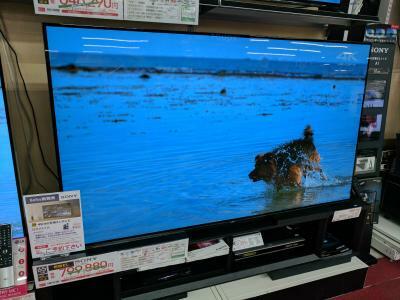 According to Business Korea, Sony is enjoying "explosive" demand for its OLED TVs since the beginning of Q2 2017, and the Japanese TV maker has reached out to LGD asking to double OLED TV shipments. Sony will receive a total of 300,000 OLED TV panels from LGD in 2017, and it aims to order more than 600,000 panels per year starting in 2019 (once LGD can increase its OLED TV capacity). The Korean report suggested that Sony may assist LGD with an investment to secure the capacity. The report estimates that Sony received 100,000 OLED Panels from LG in the first half of 2017, and it is currently ordering 100,000 panels per quarter. The extra panels for Sony starting in 2019 will come from LGD's upcoming Guangzhou factory directly which will ship the panels directly to Sony's Shanghai TV factory. The new Guangzhou fab was only announced in July 2017 and it seems a bit optimistic that it could start mass producing panels as early as in 2019. Are Sony producing new 7.4" OLED panels? Is Sony set to announce its first OLED TV soon, using LGD's panels?